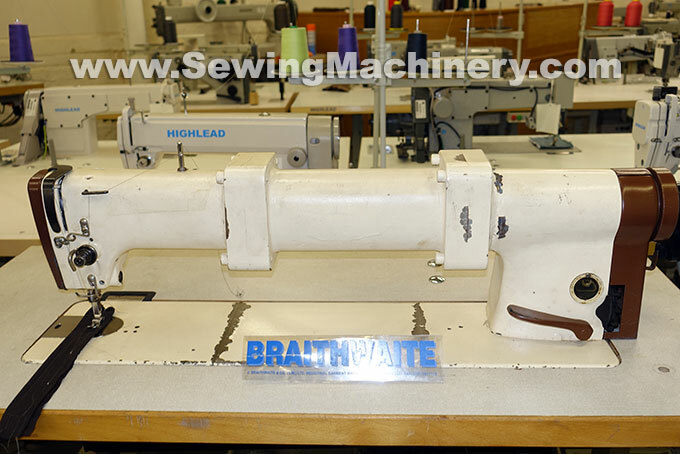 Pfaff 563-520 special long arm industrial sewing machine. Approx. 520mm clearance to the right of needle (approx. twice the length of a normal industrial machine). 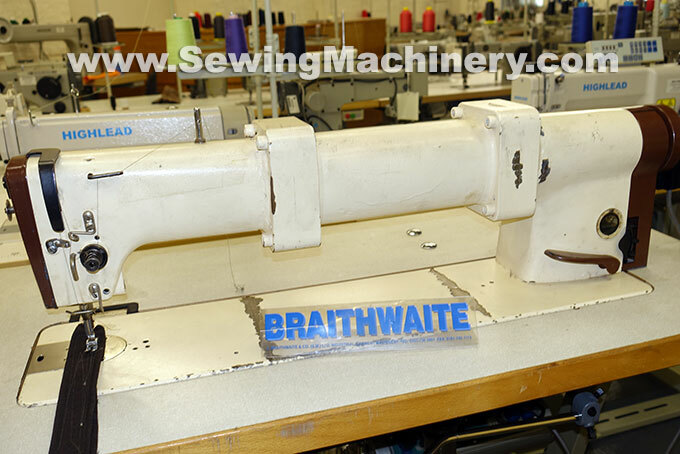 Single needle straight stitch +reverse stitch +knee operated foot lifter. Assembled with matching unit stand. 220-240V motor, standard 13amp plug for home or factory use.